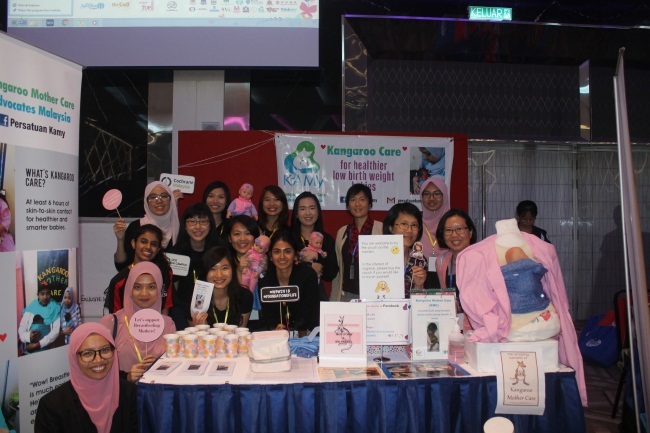 It has been a busy year since the establishment of Kangaroo Mother Care Advocates Malaysia (KAMY) in March 2017. This national level non-governmental organisation is led by the Paediatric Department of RCSI & UCD Malaysia Campus (RUMC) and has its official address in RUMC. Kangaroo Mother Care or now known as Kangaroo Care was declared an essential part of the care package of low birth weight (LBW) infants by the World Health Organisation and has been endorsed by many international professional bodies (e.g. International Paediatric Association, American Academy of Pediatrics, American College of Obstetricians and Gynecologists, International Federation of Gynecology and Obstetrics). However, its implementation in many hospitals in Malaysia has been scanty and the full comprehension of its significance is still lacking. One of the objectives of KAMY is to provide a forum for healthcare staff to share experience to help other hospitals optimize and strengthen the practice of KMC and to provide KMC training. We embarked on a series of workshops and talks across the country covering various districts in Kedah, Perak, Selangor and Sarawak. We hopped to East Malaysia and landed in Sibu Hospital. 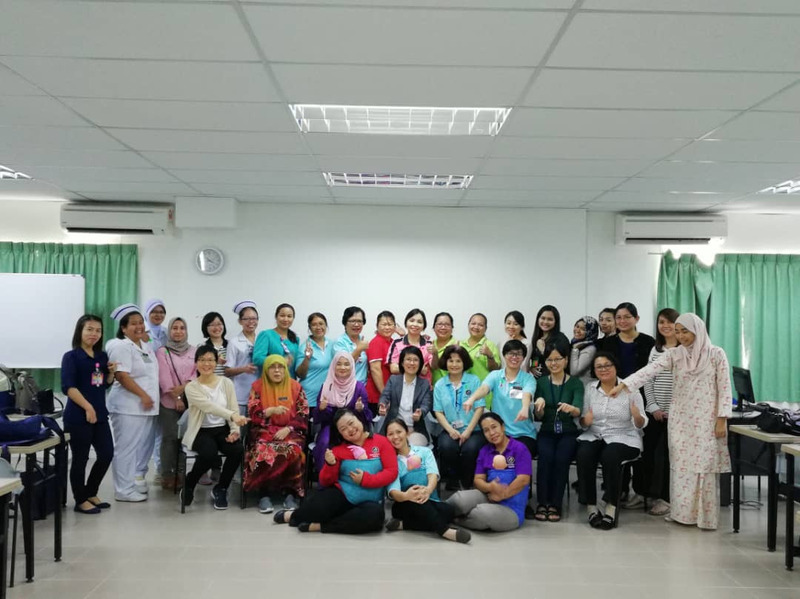 Dr Mas Qistina (far right) RUMC’s alumna, is currently working in Bintulu Hospital. We were invited to speak about kangaroo care during the following events as part of the current effort to ensure quality integrated care in Perinatal Medicine. KAMY’s major achievement this year was the invitation to be part of the newly established Kangaroo Mother Care Asia-Oceania Regional Network with the aim of bringing together all Kangaroo Care Coordinators in Asia-Oceania region in September 2018. 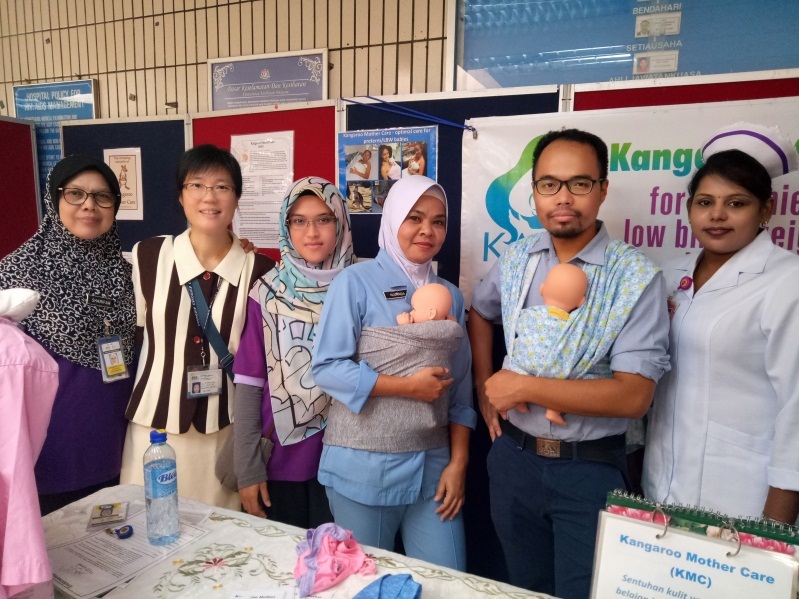 We have also organised awareness booths in several public events (Penang, Perak, Kedah) in conjunction with World Premie Day and World Breastfeeding Week and some of these events provided opportunities for RUMC students to play an active role. We hopped to East Malaysia and landed in Sibu Hospital. Dr Mas Qistina (far right), RUMC’s alumnus is currently working in Bintulu Hospital.